ROUTE feat. Lily by AVTechNO! 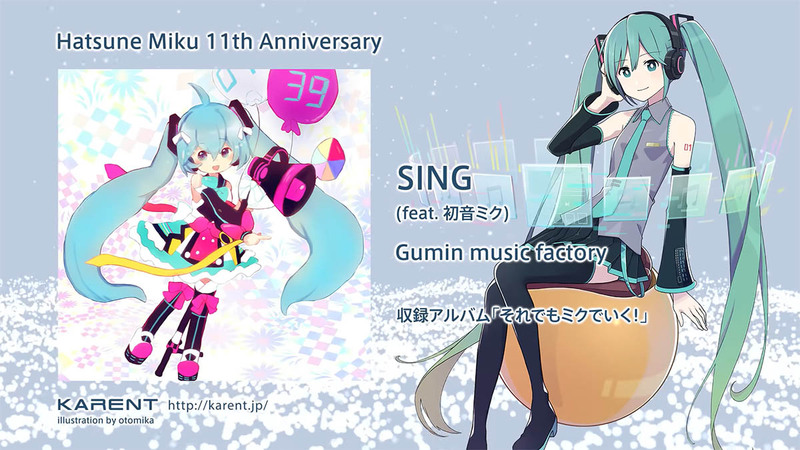 A new start for Hatsune Miku’s 11th Anniversary. With hopes that this voice will continue to ring through everyone’s lives. Thank you for your continued passionate support! A full scale figure of the official character of the Hatsune Miku GT Project “Racing Miku” in the style of the SUZUKA 10 HOURS support illustration, “Racing Miku: Tony Haregi Ver.”! 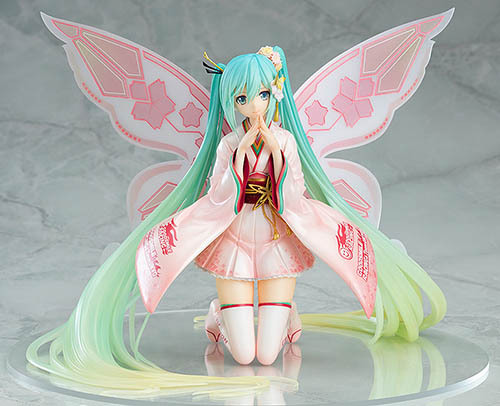 The adorable fairy Racing Miku by popular illustrator Tony has been transformed into another figure, this time wearing a beautiful haregi. 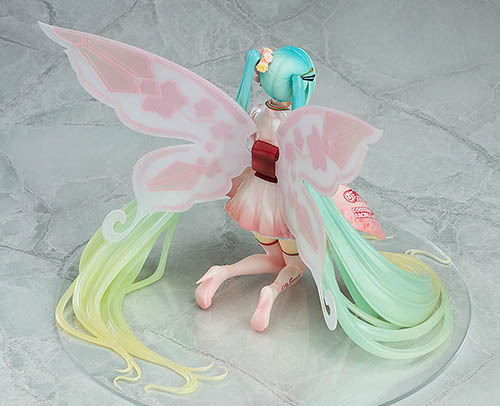 The figure makes use of clear parts in her translucent hair, which has been carefully sculpted to spread out in a circular shape. 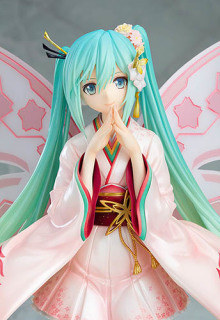 Her pearl-like kimono is decorated with an elegant design. Her gentle expression looking ahead gives Racing Miku a charming, ladylike appearance. Be sure to add her to your collection! 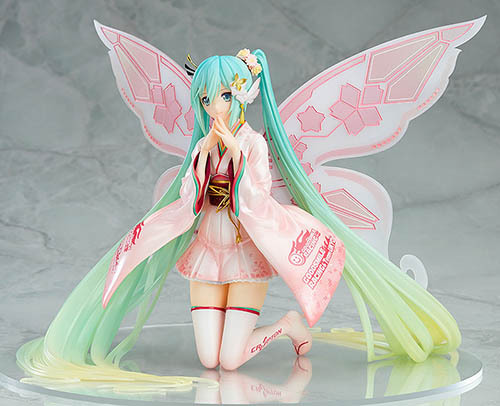 Preorders are available now for 14,800 yen on Good Smile’s Online Shop until September 20th at 12:00 JST. 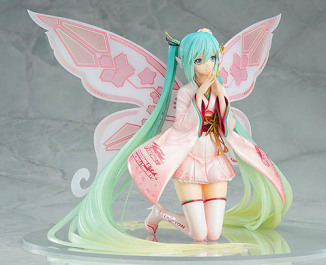 She’s scheduled to ship around September next year. 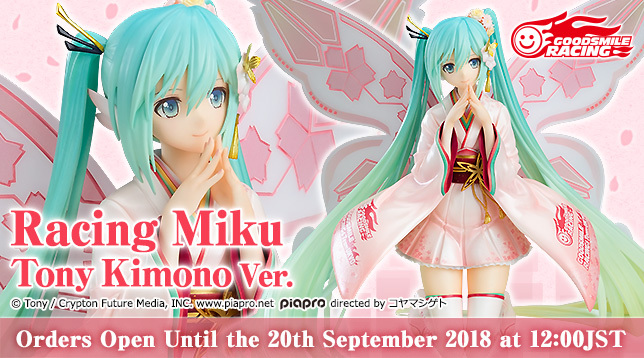 You can also find her on other online shops listed below, or catch more photos with the recent review by Kahotan from Good Smile Company! 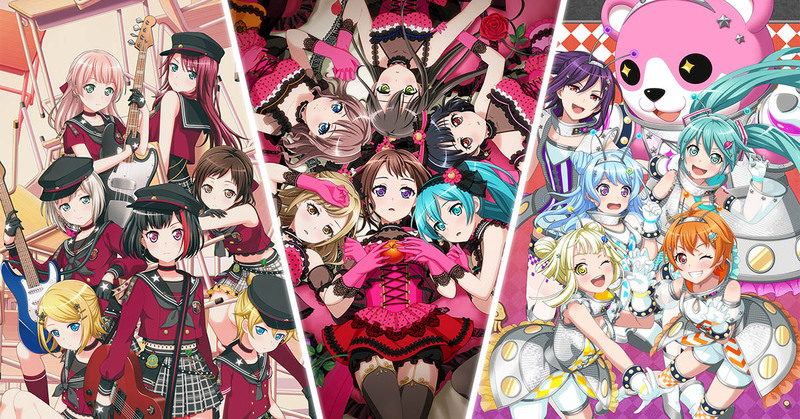 Also released today are the gameplay videos for two of the three collaboration songs now available on Youtube, with “Romeo and Cinderella” to follow soon. BanG Dream! 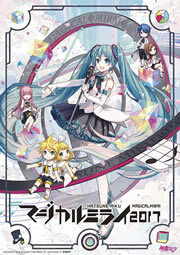 Girls Band Party was published by Bushiroad and Craft Egg. The mobile game is available on both iOS and Android platforms. 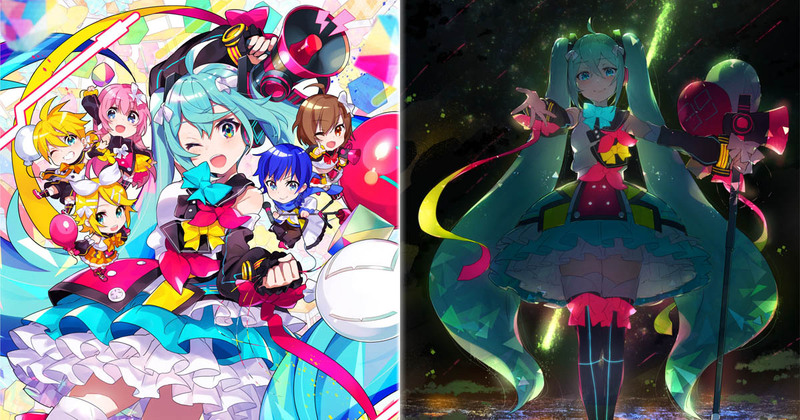 Fans of Hatsune Miku keep taking their love of the character to new levels and heights, but actual marriage is definitely the pinnacle of showing your love for the two-dimensional virtual idol. 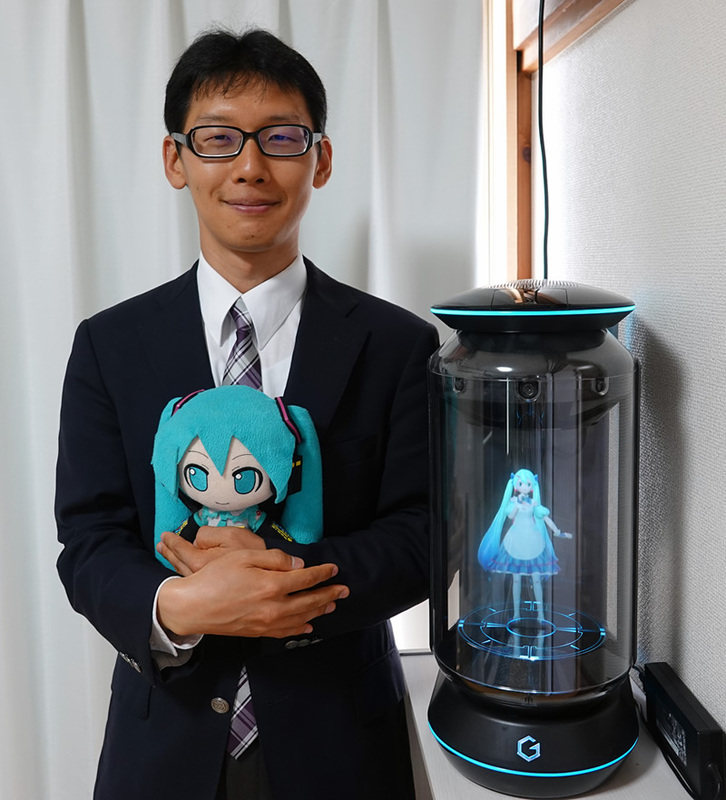 Such is the case of 35-year old Kondo Akihiko of Japan, who has recently announced his plans of marriage to Hatsune Miku on Twitter. In his recent tweets, Akihiko announced his marriage plans to Hatsune Miku for November 4th, 2018, and even has certified marriage documents prepared, courtesy of a limited production run by Gatebox, the same company that created the Gatebox home device for living with your favorite virtual characters. No wedding ceremony would be complete without the wedding rings, which Akihiko also recently had prepared. Akihiko may soon not be alone, as Gatebox had around 3,000 registrations for marriage documents of others also interested in marriage with their favorite 2D characters. What is your take on marriage with virtual characters?